Politics in the Syrian Arab Republic takes place in the framework of a semi-presidential republic with multiparty representation. President Bashar al-Assad's family and his Arab Socialist Ba'ath Party have remained dominant forces in the country's politics since a 1970 coup. Until the early stages of the Syrian uprising, the president had broad and unchecked decree authority under a long-standing state of emergency. The end of this emergency was a key demand of the uprising, and decrees are now subject to approval by the People's Council, the country's legislature. The Ba'ath Party is Syria's ruling party and the previous Syrian constitution of 1973 stated that "the Arab Socialist Ba'ath Party leads society and the state." At least 167 seats of the 250-member parliament were guaranteed for the National Progressive Front, which is a coalition of the Ba'ath Party and several other much smaller allied parties. The new Syrian constitution of 2012 introduced multi-party system based on the principle of political pluralism without guaranteed leadership of any political party. The Syrian army and security services maintained a considerable presence in the neighbouring Lebanese Republic from 1975 until 24 April 2005. Hafez al-Assad took power in 1970. After his death in 2000 his son, Bashar al-Assad, succeeded him as President. A surge of interest in political reform took place after Bashar al-Assad assumed power in 2000. Human-rights activists and other civil-society advocates, as well as some parliamentarians, became more outspoken during a period referred to as the "Damascus Spring" (July 2000-February 2001). Assad also made a series of appointments of reform-minded advisors to formal and less formal positions and is included a number of similarly oriented individuals in his Cabinet. The Ba'ath platform is proclaimed succinctly in the party's slogan: "Unity, freedom, and socialism." The party is both socialist, advocating state ownership of the means of industrial production and the redistribution of agricultural land (in practice, Syria's nominally socialist economy is effectively a mixed economy, composed of large state enterprises and private small businesses), and revolutionary, dedicated to carrying a pan-Arab revolution to every part of the Arab world. Founded by Michel Aflaq, a Syrian Christian, Salah al-Din al-Bitar, a Syrian Sunni, and Zaki al-Arsuzi, an alawite, the Arab Socialist Ba'ath Party, which was dissolved in 1966 following the 1966 Syrian coup d'état which led to the establishment of one Iraqi-dominated ba'ath movement and one Syrian-led ba'ath movement. The party embraces secularism and has attracted supporters of all faiths in many Arab countries, especially Iraq, Jordan, and Lebanon. Since August 1990, however, the party has tended to de-emphasize socialism and to stress pan-Arab unity. Six smaller political parties are permitted to exist and, along with the Ba'ath Party, make up the National Progressive Front (NPF), a grouping of parties that represents the sole framework of legal political party participation for citizens. While created ostensibly to give the appearance of a multi-party system, the NPF is dominated by the Ba'ath Party and does not change the essentially one-party character of the political system. Non-Ba'ath Party members of the NPF exist as political parties largely in name only and conform strictly to Ba'ath Party and government policies. There were reports in 2000 that the government was considering legislation to expand the NPF to include new parties and several parties previously banned; these changes have not taken place. However, one such party- the Syrian Social Nationalist Party- was legalised in 2005. Traditionally, the parties of the NPF accepted the socialist and Arab nationalist ideology of the government. However, the SSNP was the first party that is neither socialist nor Arab nationalist in orientation to be legalised and admitted to the NPF. This has given rise to suggestions that broader ideological perspectives may be afforded some degree of toleration in the future, but ethnically-based (Kurdish and Assyrian) parties continue to be repressed and a strict ban on religious parties is still enforced. Syria's Emergency Law was in force from 1963, when the Ba'ath Party came to power, until 21 April 2011 when it was rescinded by Bashar al-Assad (decree 161). The law, justified on the grounds of the continuing war with Israel and the threats posed by terrorists, suspended most constitutional protections. Along with the National Progressive Front, the president decides issues of war and peace and approves the state's 5-year economic plans. The National Progressive Front also acts as a forum in which economic policies are debated and the country's political orientation is determined. The Syrian constitution of 2012 requires that the president be Muslim but does not make Islam the state religion. The judicial system in Syria is an amalgam of Ottoman, French, and Islamic laws, with three levels of courts: courts of first instance, courts of appeals, and the constitutional court, the highest tribunal. In addition, religious courts handle questions of personal and family law. The Ba'ath Party emphasizes socialism and secular Pan-Arabism. Despite the Ba'ath Party's doctrine on building national rather than ethnic identity, the issues of ethnic, religious, and regional allegiances still remain important in Syria. The People's Council (Majlis al-Sha'ab) has 250 members elected for a four-year term in 15 multi-seat constituencies. According to the previous Syrian constitution of 1973 Syria was a one-party state and only one political party, the Arab Socialist Ba'ath Party was legally allowed to hold effective power. Of the 250 seats in the council, 167 were guaranteed for the National Progressive Front (founded in 1972) and 134 of these (as of 2007) were members of the Ba'ath Party. The minor parties in the Progressive Front, were legally required to accept the leadership of the Ba'ath Party. The other parties in the Progressive Front, for example, are not allowed to canvass for supporters in the army or the student body which are "reserved exclusively for the Ba'ath." The new Syrian constitution of 2012 introduced multi-party system without guaranteed leadership of any political party. The last parliamentary election was on 7 May 2012 and the results were announced on 15 May. The Baath party won an even larger victory than it did in previous elections. They won a majority of around 60% of the 250 parliamentary seats. Previously, the Baath had a majority of just over 50% of the seats in parliament. If one adds in the independent MPs aligned with the Baath Party, the MPs who support the president make up over 90% of the seats in new parliament. The National Unity List, which is dominated by the Syrian Baath Party, won more than 150 seats in the 250 member parliament. Independent individuals won more than 90 seats. Among the newly established opposition parties (established since August 2011), only one single seat was won, namely a seat in Aleppo won by the Syrian Democratic Party, Ahmad Koussa. In addition three representatives of longstanding opposition parties have been elected to Parliament: Qadri Jamil and Ali Haydar from the Front for Change and Liberation, and Amro Osi from the Initiative of Syrian Kurds. For other political parties, see List of political parties in Syria. An overview on elections and election results is included in Elections in Syria. Syria is a member of the Arab Bank for Economic Development in Africa, Arab Fund for Economic and Social Development, Arab Monetary Fund, Council of Arab Economic Unity, Customs Cooperation Council, Economic and Social Commission for Western Asia, Food and Agriculture Organization, Group of 24, Group of 77, International Atomic Energy Agency, International Bank for Reconstruction and Development, International Civil Aviation Organization, International Chamber of Commerce, International Development Association, Islamic Development Bank, International Fund for Agricultural Development, International Finance Corporation, International Labour Organization, International Monetary Fund, International Maritime Organization, INTELSAT, INTERPOL, International Olympic Committee, International Organization for Standardization, International Telecommunication Union, International Federation of Red Cross and Red Crescent Societies, Non-Aligned Movement, Organization of Arab Petroleum Exporting Countries, Organisation of Islamic Cooperation, United Nations, UN Commission on Human Rights, UN Conference on Trade and Development, UN Industrial Development Organization, UN Relief and Works Agency for Palestine Refugees in the Near East, Universal Postal Union, World Federation of Trade Unions, World Health Organization, World Meteorological Organization, and World Tourism Organization. Syria's diplomats last sat on the UN Security Council, (as a non-permanent member) in December 2003. ^ a b "The World Factbook — Central Intelligence Agency". www.cia.gov. Retrieved 25 June 2017. ^ a b c "SANA Syrian News Agency - Constitution of the Syrian Arab Republic Approved in Popular Referendum on February 27, 2012, Article 8". Archived from the original on 14 October 2012. Retrieved 25 June 2017. ^ a b "Syria". Retrieved 25 June 2017. ^ "SANA Syrian News Agency - Constitution of the Syrian Arab Republic Approved in Popular Referendum on February 27, 2012, Article 88". Archived from the original on 14 October 2012. Retrieved 25 June 2017. ^ "Presidential Decree on Syria's New Constitution". Syrian Arab News Agency. 28 February 2012. Archived from the original on 29 February 2012. Retrieved 28 February 2012. ^ "Election Results of the May 7, 2012 Syrian Elections". 20 May 2012. Retrieved 25 June 2017. Syria Policy categorizes new stories published over the past 24 hours by major news agencies. Raymond Hinnebusch: The Political Economy of Economic Liberalization in Syria, in: International Journal of Middle East Studies, Vol. 27 - Nr. 3, August 1995, S. 305-320. Raymond Hinnebusch: State, Civil Society, and Political Change in Syria, in: A.R. Norton: Civil Society in the Middle East, Leiden, 1995. Moshe Ma’oz / Avner Yaniv (Ed. ): Syria under Assad, London, 1986. This article lists political parties in Syria. Everyone is allowed to start a new political party but it cannot be founded on ethnic, religious, regional or tribal basis. Under the Constitution of Syria approved in 2012, a licensed party must have at least 50 founding members, aged 25 or over, who have been Syrian nationals for more than 10 years, and are not members of any other party, Syrian or non-Syrian. Elections in Syria gives information on election and election results in Syria. The current Constitution of the Syrian Arab Republic was adopted on 26 February 2012, replacing one that had been in force since 13 March 1973. The current constitution delineates the basic function of that state's government. Among other things, it determines Syria's character to be Arab, democratic, and republican. Further, in line with pan-Arab ideology, it describes the country as a region of the wider Arab world and its people as an integral part of the Arab nation. The National Progressive Front is a political alliance of parties in Syria that supports the anti-imperialist and Arab nationalist orientation of the government and accepts the "leading role in society" of the Arab Socialist Ba’ath Party, the largest party in the NPF. A referendum to confirm the presidential candidate Bashar al-Assad was held in Syria on 27 May 2007, after the People's Council of Syria unanimously voted to propose the incumbent for a second term on 10 May 2007. Abdullah Al-Ahmar is a Syrian politician and prominent member of the Arab Socialist Ba'ath Party. He is the Assistant Secretary-General of the Ba'ath Party's National Command. A parliamentary election to the Syrian People's Council was held in Syria on 7 May 2012, following the approval of a new constitution of Syria, in a referendum on 26 February 2012. The Arab Socialist Ba'ath Party, also referred to as the pro-Syrian Ba'ath movement, is a neo-Ba'athist political party with branches across the Arab world. The party emerged from a split in the Ba'ath Party in February 1966 and leads the government in Syria. From 1970 until 2000, the party was led by the Syrian president Hafez al-Assad. As of 2000, leadership has been shared between his son Bashar al-Assad and Abdullah al-Ahmar. The Syrian branch of the party is the largest organisation within the Syrian-led Ba'ath Party. The Arab Socialist Ba'ath Party – Lebanon Region, officially the Lebanon Regional Branch, is a political party in Lebanon. It is the regional branch of the Damascus-based Arab Socialist Ba'ath Party. Fayez Shukr has been party leader since 2005 when he succeeded Sayf al-Din Ghazi who in turn succeeded Assem Qanso. A constitutional referendum was held in Syria on 26 February 2012. In response to the Syrian Civil War, President Bashar al-Assad ordered a new constitution to be drafted. The referendum was not monitored by foreign observers. 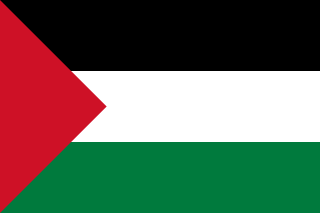 The Arab Ba'ath Progressive Party is a political party in Jordan. It is the Jordanian regional branch of the Syrian-led Ba'ath Party. It was legally registered for the first time in 1993. The party is small, and has, according to a WikiLeaks document, "minuscule number of adherents". Despite it small size, the branch is able to get a decent footprint in Jordanian media through its leader, Fuad Dabbour. Dabbour's fiery statements on foreign policy are frequently quoted by the press. The party is less known than its pro-Iraqi counterpart, the Jordanian Arab Socialist Ba'ath Party. It is the party branch of the Syrian-dominated Ba'ath Party in Jordan. Fuad Dabbour is the branch's Regional Secretary. It is believed that the party has fewer than 200 members. Qadri Jamil is a Syrian politician, media editor and economist. He is one of the top leaders of the People's Will Party and the Popular Front for Change and Liberation, and a former member of the Assad government, having been dismissed from the post of deputy prime minister for economic affairs; minister of internal trade and consumer Protection on 29 October 2013. During a visit to Russia on 21 August 2012 Jamil said that President Bashar Assad's resignation might be considered if the opposition agreed to negotiate a peaceful settlement to the Syrian revolution.